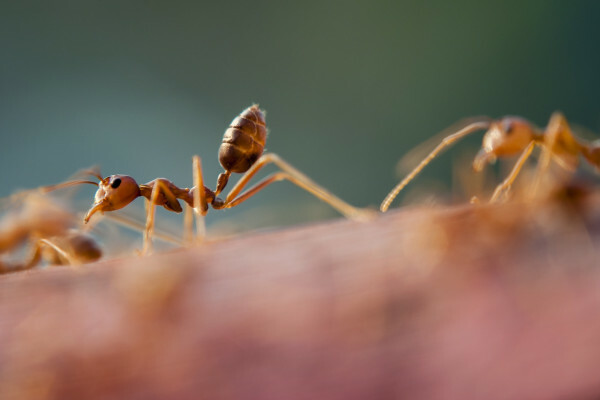 Can ants survive in a microwave? I’ve been hearing recently that a study’s been done that shows ants survive in a microwave but I was wondering if it’s another urban myth like cockroaches surviving nuclear explosions? Someone wrote to us at the Naked Scientists recently who said 'I found a cockroach crawling around in my microwave,' and they said that just for fun they turned on the microwave to zap him. They opened the door 30 seconds later and he was still crawling around. So it seems some things can survive a dose of microwaves.In a microwave oven the microwaves come out from the right hand side and they bounce off the metal of the far side. It acts like a mirror and it bounces backwards and forwards and they form what's called a standing wave. You get areas of the microwave which are very, very hot; which have got very, very powerful microwaves and others with approximately nothing at all. There's about 7.5cm between these hotspots. So you get about four or five hotspots in your microwave, depending on how big it is. If an ant were in a hotspot it would just feel to them like they were in a very, very hot place. So naturally, they'd want to get away from it to somewhere cooler. They would just walk to somewhere cooler where they'll feel a lot more comfortable: just sit there and be fine! It would be more interesting if there's a turntable because it's there to move the food through the hotspots all the time. The ants would have to keep walking round the turntable to avoid getting cooked. So it's not a myth after all. There was somebody who made their way into the newspapers for all the wrong reason and they didn't survive, actually. They decided, in a rush to go out on a date, that they would put their head in the microwave to dry their hair quickly. Unfortunately they didn't survive the experience but their hair looked great afterwards! Previous Could there exist white holes as a counterpart to black holes? Next What should I do when cycling in a thunderstorm? How does a microwave burn food?